Thursday, all-day, was the Book Academy hosted by Utah Valley University's Continuing Education Program (LDS author Michael Young first told me about it). LDS, teen horror author Dan Wells (the John Cleaver trilogy) was the key note speaker. He gave a great presentation about how to get in the habit and mindset of not being able to miss the ideas for stories that are constantly around you. You should never feel at a loss for ideas. He gave great tips for getting in the idea-groove. The audience had a lot of fun shouting out ideas to him at one point. I'll type his presentation up for one of the "Writerly Saturday" posts sometime soon as well as some of the other notes from the workshops for subsequent Saturday posts. 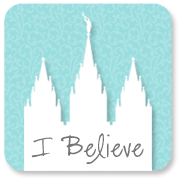 On Tuesday, Oct. 11, at 7 PM, Simon & Schuster authors Becca Fitzpatrick (LDS), Moira Young, Michelle Hodkin, and Elana Johnson (LDS) will be speaking on a panel in the Provo library ballroom. The audience will be able to text questions to the panel moderator during the event. Tickets are free but required for this event. Go ASAP to the library circulation desk to get them. Doors to the ballroom will probably open around 6:30 PM. 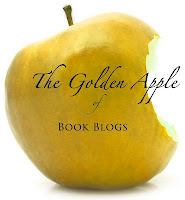 There will be books on site to purchase. Here's the PCL page about the event. The next day, Wednesday, Oct. 12, at 3 PM in the Harold B. Lee Auditorium on BYU campus, author Barry Lopez will be giving a presentation. He will also be at the Orem Library in the Storytelling Wing from 7 - 8 PM. Mr. Lopez is known for his non-fiction and nature books, but I know him from his Native American (American Indian? What is politically correct these days??) 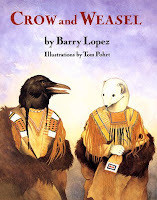 inspired folk tale Crow and Weasel. To my knowledge this is his only youth book. Click here for event details. The Hundred Dresses Play, based on the 1944 Newbery Award-winning children’s book by Eleanor Estes starts Oct. 12 and runs through Oct. 22 at the Nelke Theater in the Harris Fine Art Center on BYU campus. Go to the BYU Arts page for showtimes and tickets. Award winning author Susan Campbell Bartoletti will be on BYU campus Oct. 13 and 14. 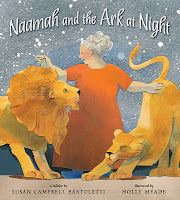 She is the author of picture books, novels, and non-fiction, her newest being a picture book about Noah's wife singing the animals to sleep on the ark. At 11 AM, Thursday, Oct. 13, she will be lecturing in room B192 of the Joseph F. Smith bldg. On Friday at 12 PM, Mrs. Bartoletti will be doing a reading in the Harold B. Lee auditorium (sorry, I have no links for you to go to. I only know about these Susan Bartoletti appearances because I got an email from the BYU English Dept.). The Children's Literature Association of Utah Fall Book Festival will be held this upcoming Friday, Oct. 14 at 6:30 PM. LDS author and BYU professor Michael O. Tunnell along with retired US Air Force Colonel Gail S. Halvorsen will be presenting. 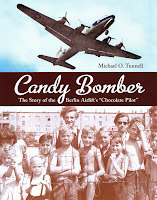 The featured book will be Candy Bomber by Mr. Tunnell which is about Colonel Halvorsen during the Berlin Airlift in just after WWII. Colonel Halvorsen is THE original Candy Bomber, or more affectionately known as Uncle Wiggly Wings to the then children in West Berlin who received the candy he dropped from his plane using tiny parachutes. 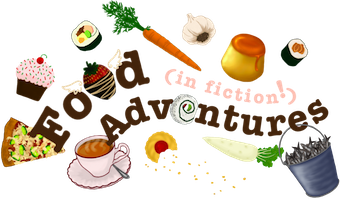 And last, but certainly not least, there will be a National Novel Writing Month meet n' greet/Q&A at Dragon's Keep on University Ave., Provo this upcoming Saturday, Oct. 15, from 2 - 5 PM. This is my daughter's dream...to make a living doing cover art. How fun would that be? and, it was great meeting you at my launch for With a Name Like Love - thanks for coming!!! Thank you! It was great to meet you.